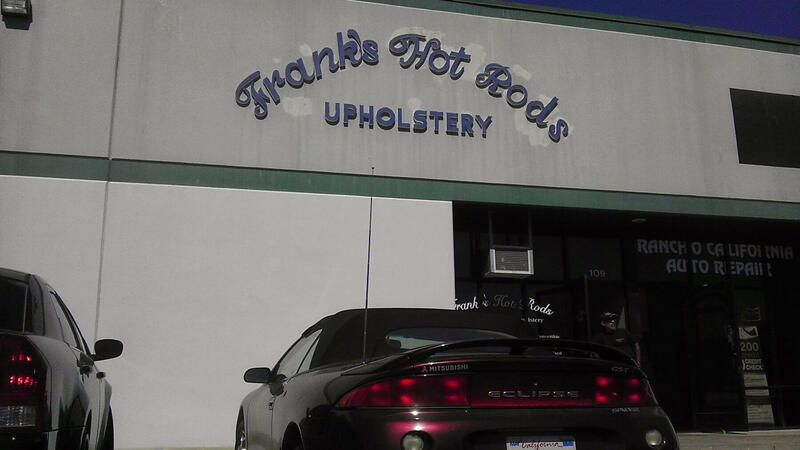 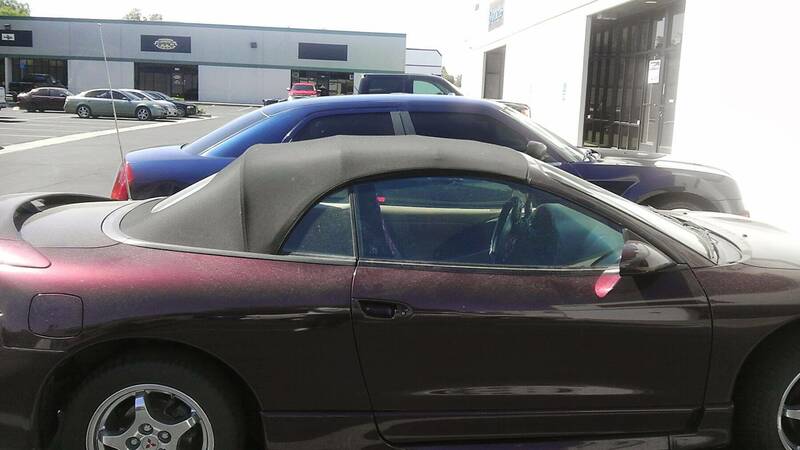 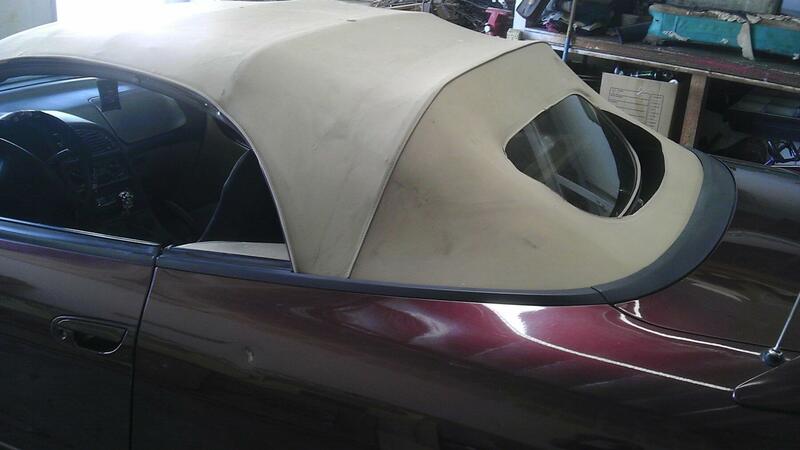 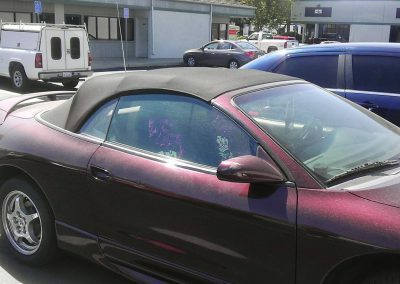 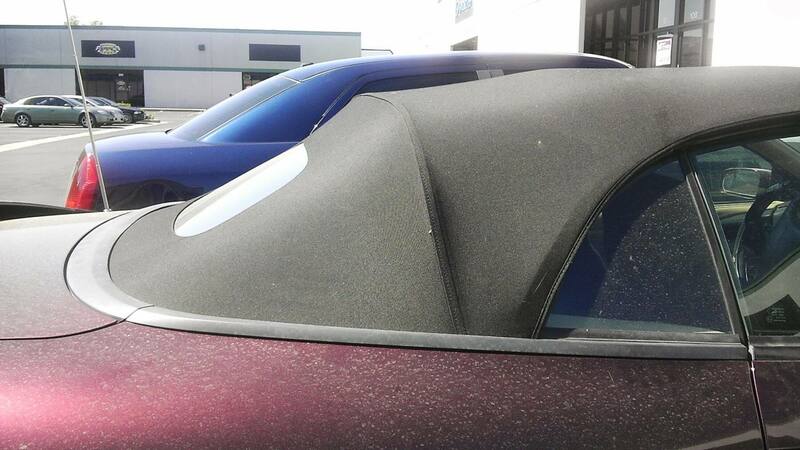 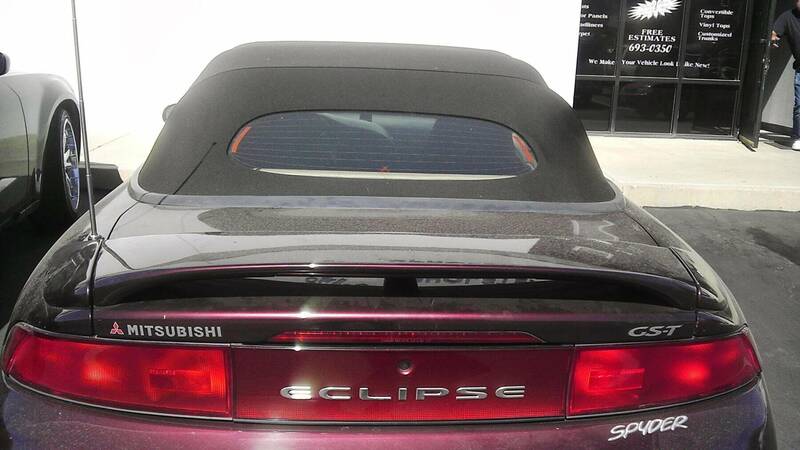 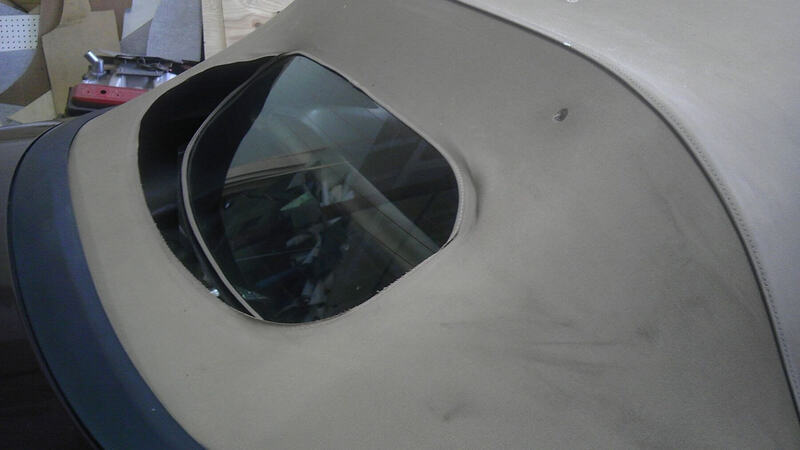 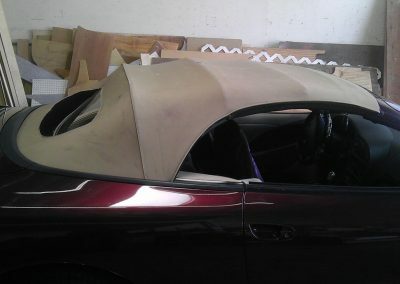 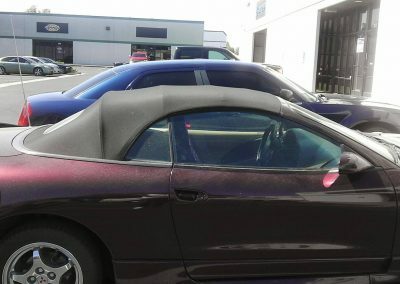 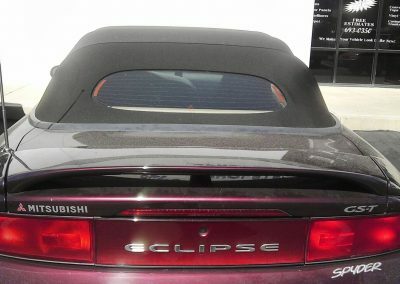 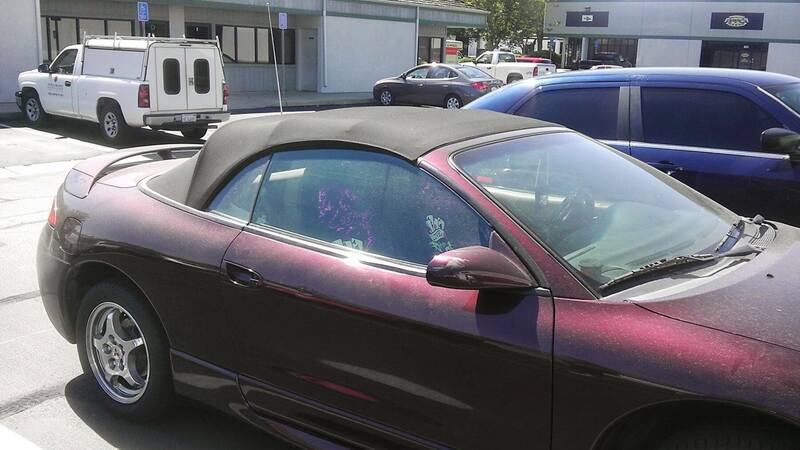 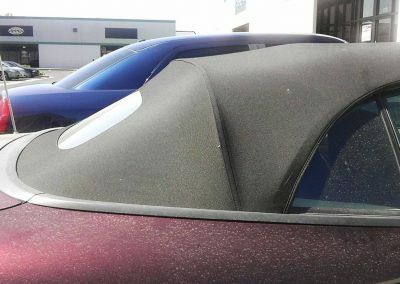 The convertible top for this 1998 Mitsubishi Eclipse was replaced through our customer’s insurance provider due to the rear glass window collapsing. 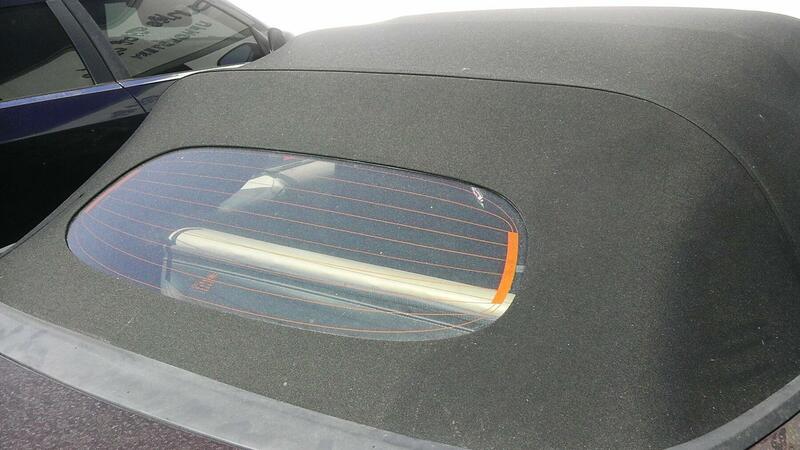 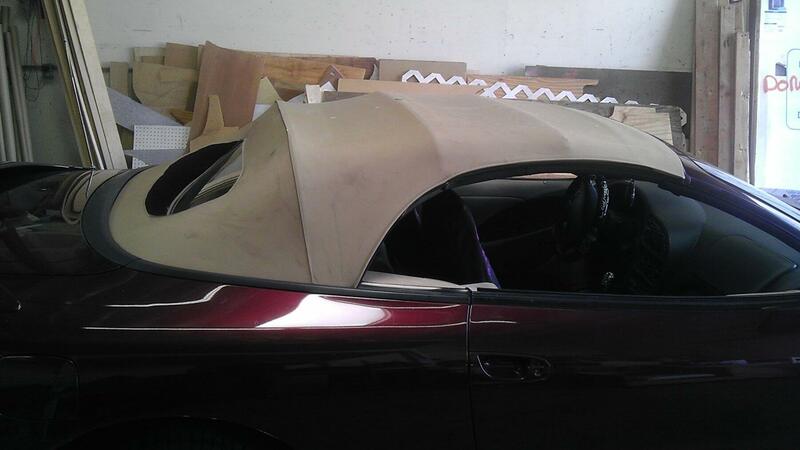 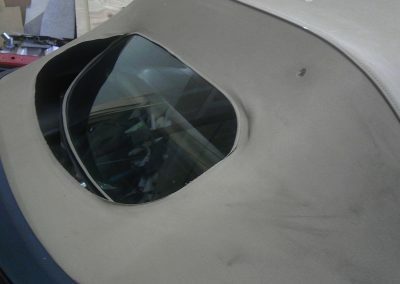 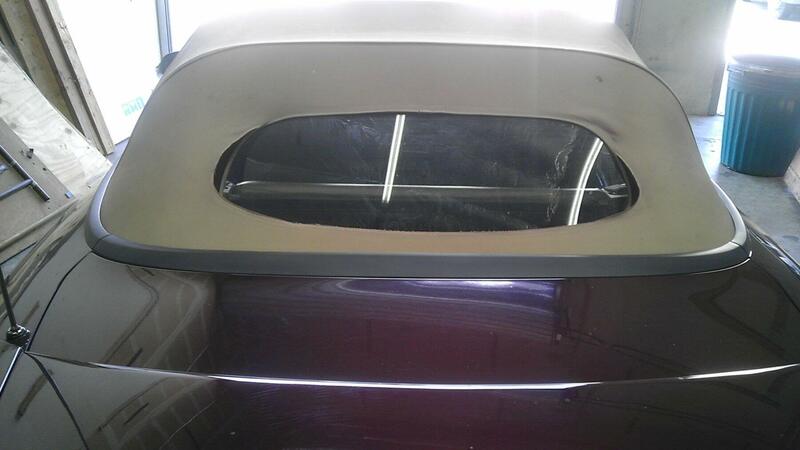 The rear glass window and the convertible top for this particular vehicle is a one piece assembly. 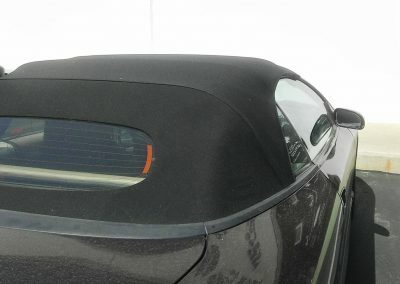 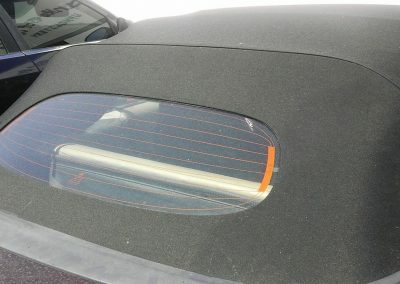 The rear glass window is sealed to the convertible top and sold as one piece. 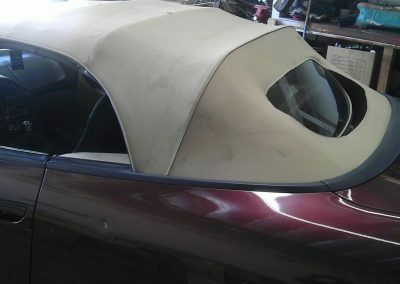 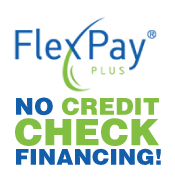 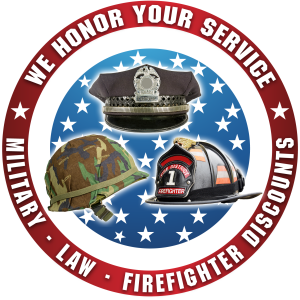 The aftermarket convertible tops we offer are made with the latest window bonding technology and include a lifetime warranty for the bond between the rear glass window and convertible top. 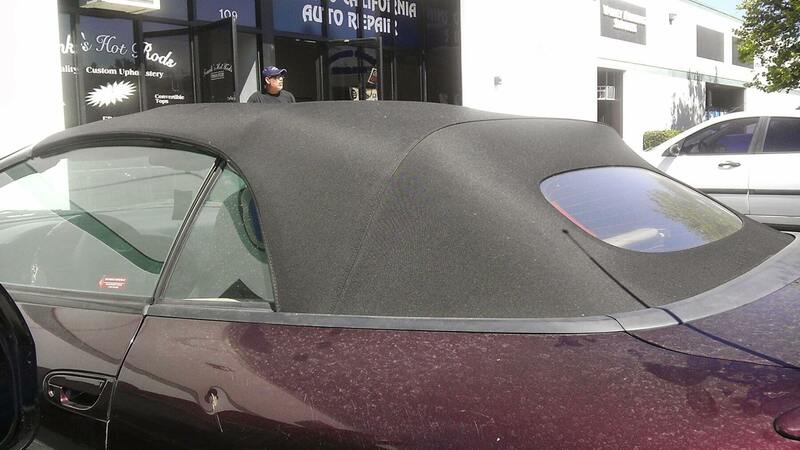 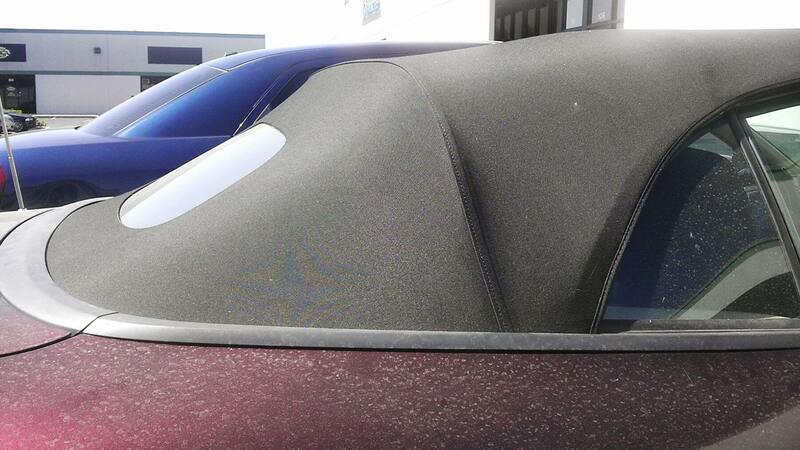 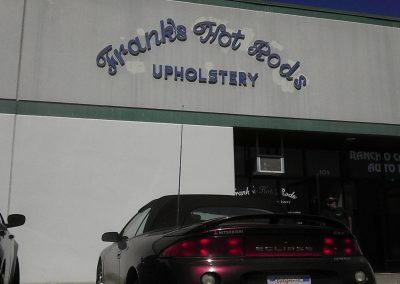 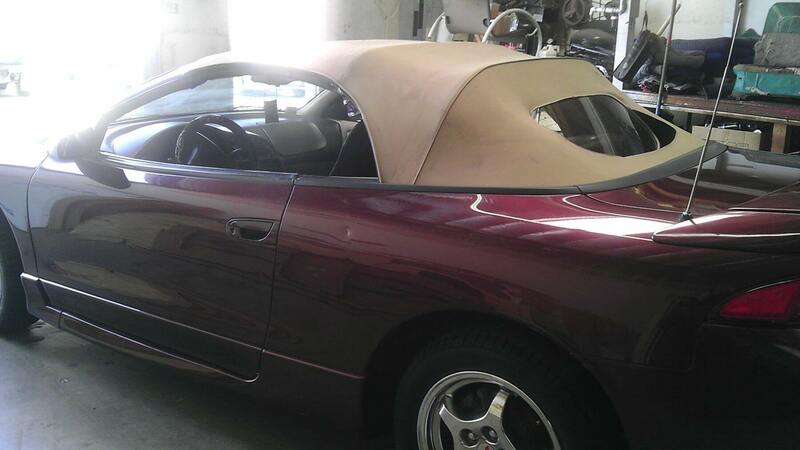 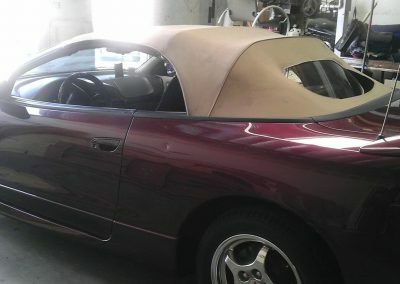 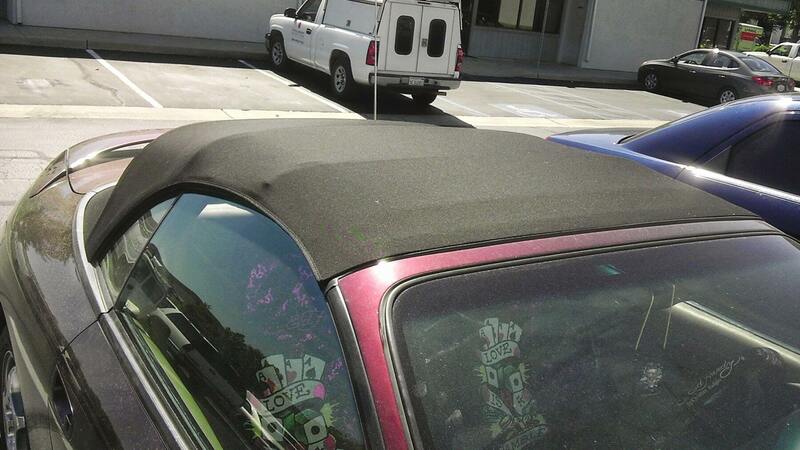 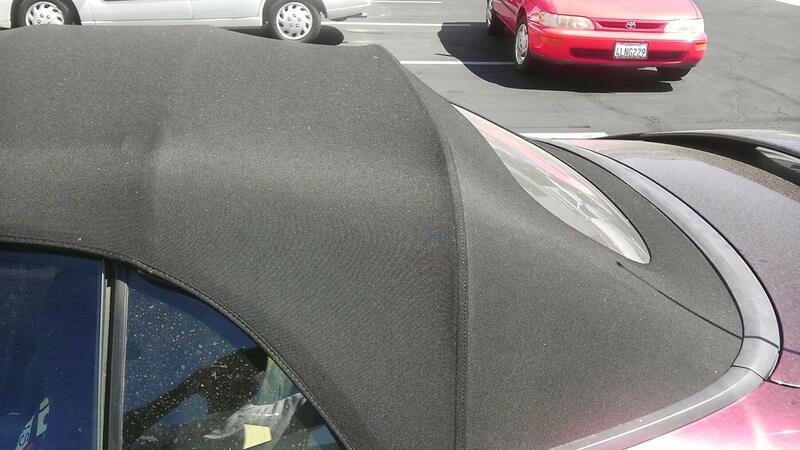 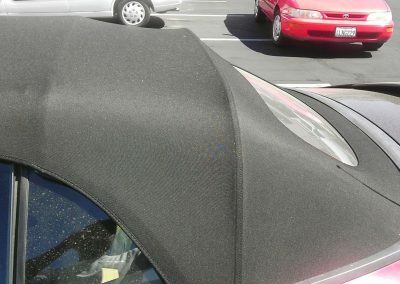 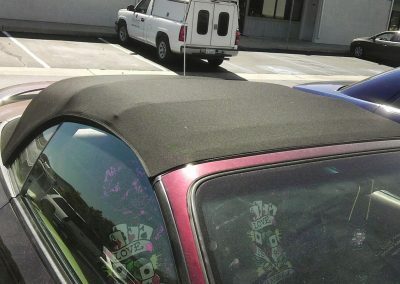 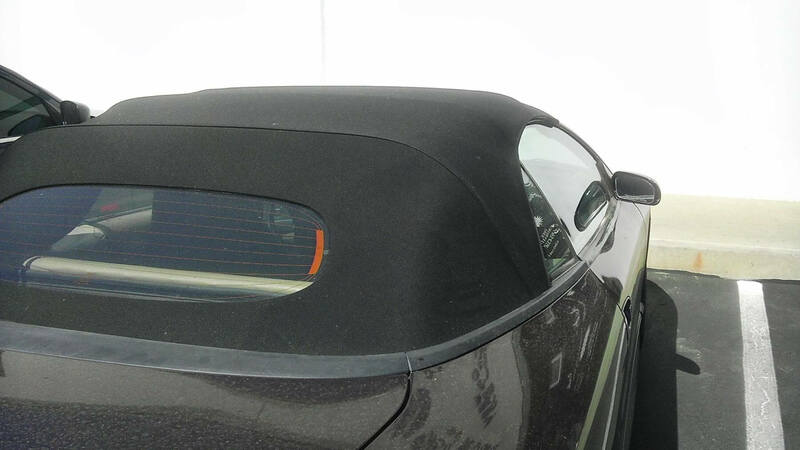 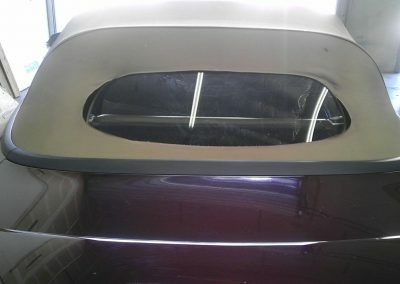 The owner of this vehicle like many wanted to give their vehicle a new look and decided to customize it by changing the color of the convertible top from the original tan cloth to a black cloth top. 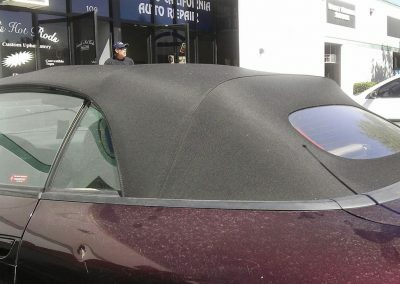 The aftermarket convertible top included the rear glass window with heater defroster as original. 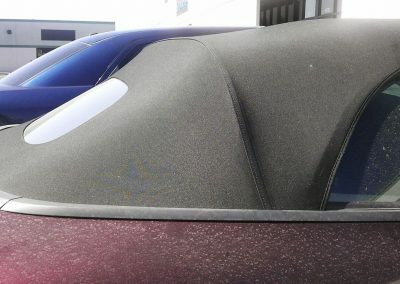 In the pictures below you will see the vehicle with its original convertible top, the vehicle without the convertible top and finally with the new aftermarket top installed.